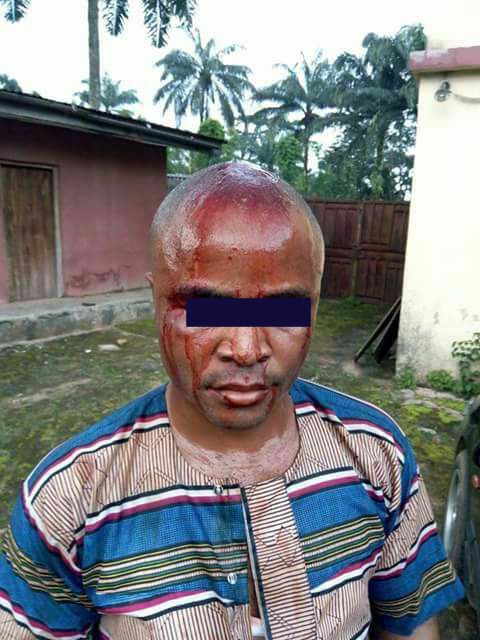 A Facebook user has shared photos of a man brutalised by his wife. According to Emmanuel Onuoha the couple had an argument over food, so the wife grabbed a wood and smashed his head. He said the man had been out of job for a while so he depended on her for his welfare. He added that they settled the issue after their friends and family members interfered. A woman did this to her husband yesterday, just because of small argument with her about food issue, more over the man lost his job and he has been trying his best to secure a job but she take it serious and used log of wood on his head, I pity that woman and may God forgive her if it is you now what will you do? Though the case have been settled by friends and family members, they asked the woman to feel and apologise, the woman said she did t out of annoyance due to her husband keep doing promise and fail.